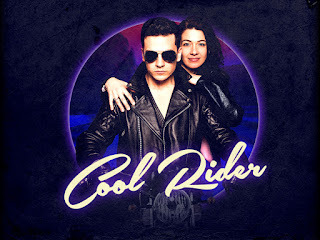 The Cool Rider cast album which was funded through a successful Kickstarter campaign has a confirmed release date for 29th June 2015. The score features songs including Who’s That Guy/Girl?, Score Tonight, Mr Sandman, Cool Rider, Reproduction, Girl for all Seasons, (Love Will) Turn Back the Hands of Time Rock-a-Hula Luau (Summer Is Coming) and We'll Be Together. Based on the 1982 cult movie, Cool Rider was staged in the West End last year at the Lyric and Duchess Theatres. The album has Ashleigh Gray (Wicked) and Aaron Sidwell (Loserville) leading the cast alongside Reece Shearsmith (The League of Gentlemen).The rest of the principal cast includes: Niki Evans (Legally Blonde), Mark Anderson (Book of Mormon), Bronté Barbé (Shrek), Daniel Buckley (Loserville), Joshua Dowen (Dogfight), Lucinda Lawrence (Charlie and the Chocolate Factory), Hannah Levane (Sister Act) and Niall Sheehy (Miss Saigon). The Original Studio Recording will be available for worldwide purchase from CoolRiderLive.com on CD and Limited Edition Selections, and digitally in the UK on iTunes (Pre-Order now).